Although backed by a long history in farming, Ygea Farm is a new venture. 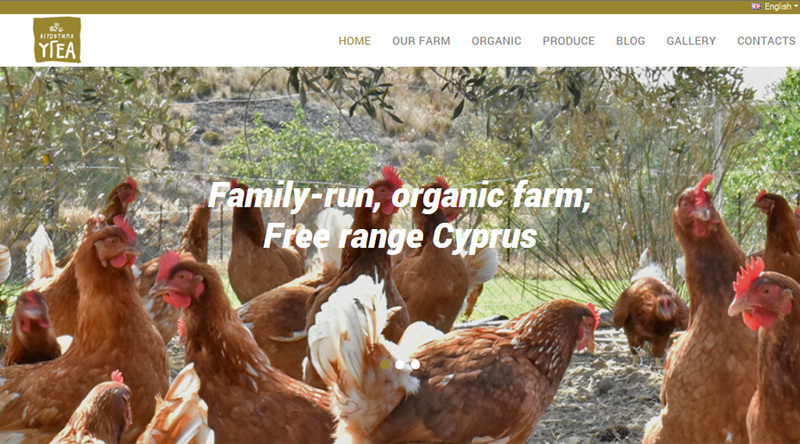 The creation of a new website was fundamental in promoting the farm's new positioning, and especially to promote the brand with relation to its organic eggs, now available to the market. The website had to accurately portray the farm's bio status and it's fully certified organic products, namely eggs, honey and herbs. To promote the brand Ygea, so it remains 'top-of-mind' when people are out shipping for food. The goal of the website is to be clear and concise, very easy to use, colourful, and fun. Content in text and images to be interesting and informative, thereby 'educating' the market about what it truly means to be organic with eggs (as endorsed by the European Union), and the importance of this to our diets and health. Ygea.farm represents Web-Conception's typical all-inclusive and creative approach in web development and SEO. A number of visits out to the farm and discussions with the client over BBQs, put our team in good position to go out and complete this solution; end-to-end. Our team took full creative control and directed the entire website project until completion; reporting to client sporadically during the development phases to get feedback and adjust accordingly. Ultimately, delivering a fully robust and content-rich website solution that is sure to be well received. The entire process required very little time- and effort-spent on the client's side, allowing them to focus fully on other important aspects in launching their new business venture and selling their products. Indeed, a vital support during such busy, perhaps stressful times. Since the website's launch, our team has also been offering on-going support and consultation in other areas of marketing communications; digital and offline. This includes assistance with advertorials in popular print magazines in Cyprus, advertisement concept creation and content, as well as digital/online communications.